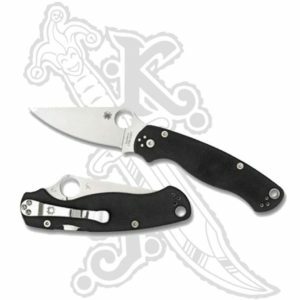 Spyderco has a number of knife designs that sell well year after year. These classic CLIPITs are in high demand due to their functionality, quality of manufacture and proven reliable high-performance track record. 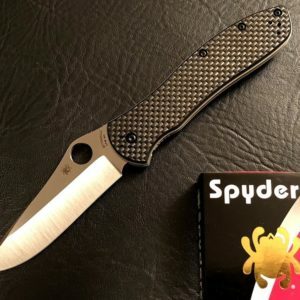 Keeping these classics updated, Spyderco frequently upgrades them with new different blade steel and handle materials. The Calypso is one of the classic mainstays that spawned numerous variations and converted legions of knife buyers to the benefits of flat-ground, thick leaf-shaped blades. This is a workingman’s/woman’s folder founded on the premise that a comfortable pocketknife should feel like a natural extension of your hand. 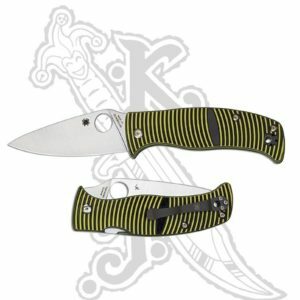 The Calypso progeny is a larger version of the original three-inch bladed Calypso Jr., featuring a three and one-half inch blade. It is called the Caly3.5. 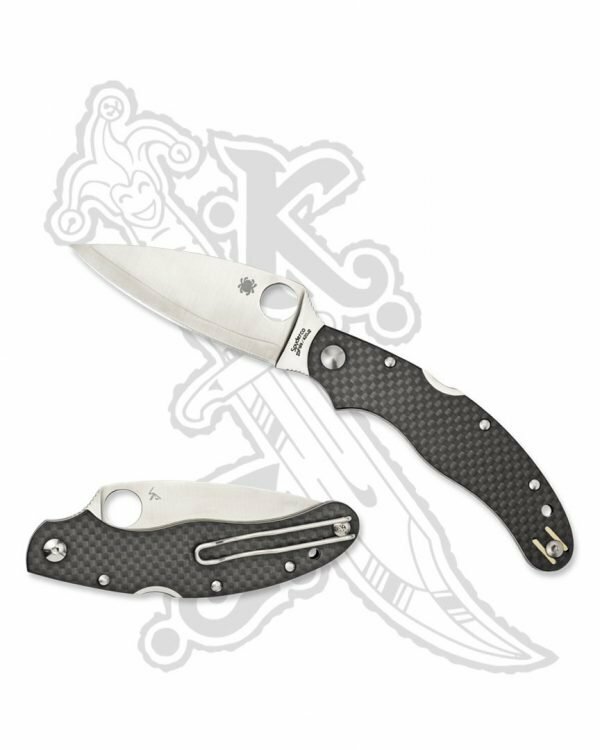 Available now in a premium variant, is the Caly 3.5 with a ZDP-189 blade and carbon fiber handle. The leaf-shaped blade is made of three layers of steel. The core is high carbon ZDP-189 Japanese powdered steel, the outer laminated layers are softer, pliable 420J2 steel. The blade is full-flat ground with a PlainEdge that passes effortlessly through material. It comes with a gray carbon fiber handle and a mid-positioned back-lock. Its low-seated wire clip designed for right-hand deep-pocket, tip-up carry. Great ergonomics means more control over the cutting edge. The Caly 3.5 accomplishes this with a substantial finger choil located where the handle and blade meet. The choil creates an ergonomic slot situating the index finger naturally on the handle’s underside while positioning the thumb directly above the index finger on the blade’s spine. 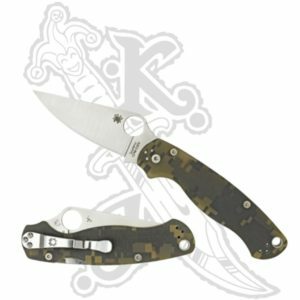 The Caly3.5 ZDP-189 manages to combine beauty and functionality into a new Spyderco classic.